There’s a demand for wireless alternatives to our beloved gadgets. Nowadays, we want music, video, games, and traditional phone functions to fit into our pocket, and because of the high demand for smarter gadgets, wireless accessories have quickly followed suit. Is there a wireless alternative to what used to be wired? You might think that the answer is no; that cable management comes in the form of organizers like zippers, boxes, zip ties, and wiring covers. We think the fundamental issue with cables is the technology itself, not how to manage it. Hiding cables is still a big design trend in modern offices. To do it right, however, you might need to open up walls and lift up floors to install hidden cables, which is not all that sustainable and means more maintenance in the long run. That doesn’t sound like it takes the hassle away, does it? Add to that, it can cost a pretty penny and eat up a lot of time. If you know anything about Airtame, it’s probably that we don’t like cables. We think that the easiest cable management is simply to get rid of them! Instead of sweeping your cable problems under an expensive figurative (or literal?) rug, there are beautiful, innovative, and flexible solutions available. To get started on your clutter diet, here are four initial ways you can truly embrace the future of office design. Wireless keyboards use either USB or Bluetooth to connect. Bluetooth-connected ones could save battery whereas connecting by USB is more reliable. Like many other electronics, keyboards are becoming smaller and much more crammed to look at and type on. Logitech’s K800 Wireless Illuminated keyboard isn’t one of them. The K800 may not be the best portable option but definitely one of the most comfortable if you’re planning on staying desk-bound most of the time. The keyboard has backlit keys for those long hours at night. The keys will dim as you retract your hands, and you can of course also reduce or increase brightness easily. The keyboard is connected via USB. All that at a modest price point of $99.99. Sound quality and portability are the two main things to look at when you want to pick a wireless speaker. We’re focusing mainly on the portable speakers in this post, the ones you need for that impromptu team meeting or work Friday bar. For that reason, our favorite wireless speaker is the Ultimate Ears MEGABLAST. Value-for-money is spot on in the MEGABLAST, and the sound quality is incredible. It’s Bluetooth and WiFi compatible. The Bluetooth connectivity is rated at 150 feet, about five times that of other portable speakers. UE MEGABLAST delivers 360 degrees sound and at much higher volumes than many others on the market. Waterproof, durable, 16 hours of battery life – oh, and it’s Amazon Alexa-enabled. You can find it on Ultimate Ears’ own site for $245 but we’ve seen it significantly cheaper many other places. For your Friday bar, we recommend investing in a SOUNDBOKS. It’s the loudest battery-powered speaker of them all, and you can use it both indoors and outdoors. It’s priced at €849 for a starter pack with both a speaker and a battery pack. We have one here at our Copenhagen HQ and can confirm that the sound is supreme! Any work environment is bound to get noisy at times, especially if you work in an open-plan office, or a co-working space. There’s also the issue of privacy; you don’t want to eavesdrop on your colleagues. A pair of noise-canceling ear gear can be the lifesaver you need, and wireless ones can help make you and your working experience all the more seamless. The best wireless and noise-canceling headphones out there are, in our opinion, definitely the Sony WH-1000XM3. Background noises of any kind, everything from co-worker conversations to blaring traffic, will completely disappear. The headphones are comfortable to wear even for extended periods, and they come with a strong battery life of up to 30 hours of continuous playback. Priced at $349.99. For earbuds, we recommend Bose’s QuietControl 30 which you can buy for $299.95. The lightweight, contoured neckband is perfect for wearing around the office ensuring that you don’t have to worry about your earbuds dangling or falling down. Even though they’re in-ears, Bose has mastered the ‘plugs’ to such a high level that you won’t feel any discomfort with them – even after a long day’s work. Wireless charging, otherwise known as inductive charging, is a pretty recent phenomenon. It uses an electromagnetic field to transfer energy between two objects, for example, your phone and an inductive surface. But as we have many brands of devices, so there will be systems to charge them. That’s why we’ve found a brilliant, almost futuristic solution that can help entire offices get rid of power cables. Wi-Charge uses a beam of infrared light – that’s right, light! – to deliver wireless power to multiple devices up to 10 feet away. It works with smart speakers, smart locks, smart screens, video surveillance, and of course smartphones. One of the biggest barriers many people have with their smart devices is their battery life and trying to find a nearby outlet. Wi-Charger eliminates all of that and even amps up the experience by making sure more than one person can take advantage of it at the same time. Wi-Charge has won numerous innovation awards recently, but they’re still only in beta. The reason we mention them is to underline how rapidly the technology is evolving, and how far it can take you both as a consumer and company. Why get solo charger surfaces when you can get the whole office covered? What do we even mean by that? Well, wouldn’t it be nice if you had one central button for a lot of different wireless actions? Enter flic, the wireless device you didn’t know you needed that will make your life a lot easier. This nifty silicone Bluetooth button can be programmed to trigger an abundance of different actions when you push it; things you’d normally have to do on the device itself. Want to take a picture with your smartphone when it’s far away? Click the flic. Play, pause or skip to the next track? Click the flic. The several programmable actions, such as single and double click, meaning that you can set up multiple commands for the tiny button. You could have one command for your morning alarm clock, one for your smart lighting system to turn on, and so much more! Cables, begone! It’s time to embrace buttons. For those that want more freedom to roam when presenting, or the ability to connect to a display from across the room, a standard HDMI cable simply won’t cut it. In this digital age with more and more wireless aids, why not try a wireless screen sharing solution like Airtame too? Airtame lets you wirelessly connect to any projector, screen, TV or large monitor and enables you to mirror the display on your laptop, tablet or smartphone. Whereas a lot of solutions on the market work seamlessly with one type of users, for example, either Mac or Windows, Airtame is cross-platform, meaning it works with MacOS, Windows, iOS, Android, Linux, and Chromebook. In a mixed office or BYOD (Bring Your Own Device) environment such as a classroom or office space, Airtame eliminates the need to purchase more than one device. It’s intuitive and easy to use for employees, visitors, teachers, and students alike, and it’s priced at a budget-friendly $/€ 399 (ex. VAT). It’s a seamless streaming experience with a friendly, modern design. As the examples above illustrate, cable management is soon becoming a thing of the past. We believe that the office, classroom, and your home should be a stress-free, de-cluttered place that inspires and helps you rather than hinders your movement and ideas. That’s why we recommend going wireless – and these six different solutions are all excellent places to start. They make your life easier and can be found at a price that won’t break your bank. And what’s better than that? We all know what digital signage is, at least implicitly. Most of us have taken a look at the menu in the drive-through lane at Mickey D’s, or even ordered our greasy goods from a digital kiosk stand. At the airport or train station, we’ve glanced at the departure and arrival times. We’ve seen perceived wait time on passport queues or trafficked highways. There are countless examples like these, and they are all, in some form, digital signage. It’s everywhere, integrated with many different businesses and needs. In fact, the digital signage industry accounted for 19.6 billion USD in 2016. In 2032, it’s expected to reach more than 32 billion USD. It’s a rapidly growing industry with enormous potential. As we grow more accustomed to a digitalized world, digital signage assumes a more significant role for enterprises. Workforces distributed across multiple locations benefit from a centrally controlled content distribution platform and old communication tools get replaced by new, smarter technology. That’s what digital signage represents – a solution that delivers timely information. Airtame focuses on getting the most out of screens and projectors through best in class wireless presentation technology. With our platform-agnostic product, users have previously been able to mirror their screens, stream or set up static content. As our mission to unlock the power of professional displays develops, both the product and our focus is naturally moving in the direction of digital signage. With newly set up applications, users can integrate the Airtame Homescreen with dashboard services, beautiful backgrounds or simple tools like a world clock, inspiring imagery from Unsplash, Google Slides, and Trello boards. In this article, we’re going to explore where digital signage came from, how it has evolved, and what the benefits are. What is digital signage? The term digital signage is very broad. It’s connected to digital screens that can display content and information in any space, but there is much more to it than that. As a term, it’s often connected with the screens themselves, but the screens or the size of them is not what makes digital signage a game-changer for engaging audiences. It’s a sea of possibilities, not just for retailers but all businesses, big and small. There are endless ways to explore the power of digital signage and how it makes the daily flow of information more interactive, responsive, and user-friendly. But before we get to the use cases and many interesting ways digital signage can be deployed, let’s try to fit the term into a box. Digital signage means a centrally controlled content distribution platform that can be used to broadcast many different messages. Today, it’s typically some type of screen that displays meaningful content to a specific audience. It can be found in both public and private domains, and we’re already experiencing it in all kinds of environments. Digital signage is in many instances a replacement or an alternative to analog signage. It’s the small changes we’re not paying attention to, like the poster with the schedule by the bus stop that’s been replaced by a screen, or the digital noticeboard at the airport indicating gate and takeoff info. A lot of the time, you might not even notice that you’re being targeted through digital signage. It could be a billboard changing based on the search history of a by-passer or ads changing per real-time updates such as the weather. Even though we don’t always notice it as a marketing tool, digital signage is immensely popular. Because the dynamic content engages an audience better than regular, static messages, the value of deploying it is higher. Up-to-date, relevant content, moving images and changing graphics make sure the message is always on point. The setup varies from the most basic and simple to complex and diverse, ranging from one screen to multiple. The different screens may show the same or alternative content, giving the sender an abundance of choices to display the most valuable data. Let’s go back to the menu kiosks we mentioned in the beginning. It’s a touchscreen that allows the consumer to interact, and in this case, place an order. It’s a great example of how digital signage can guide the customer journey. Oftentimes, the customer journey isn’t a part of the decision when people put up digital screens, which is a big loss. Many think of digital signage as a means to display information around a venue but no more than that. Besides attracting attention however, digital signage allows you to promote or advertise your product or business, provide in-store entertainment, offer a personalized experience or talk directly to the customer, employee or visitor. One thing that makes many types of digital signage differ from analog signage is the ability to not only display dynamic content but to be interactive as well. In the instances where interactive displays such as touchscreen are used, digital signage becomes even more user-friendly. It’s cost-efficient and a step in an eco-friendly direction. Imagine a restaurant that rotates menu items as the seasons change or a promotional campaign for which thousands of copies are needed. After the season or the campaign is over, all that paper material is thrown out because it’s no longer relevant. With digital signage, all it takes is an update in the CMS, and the content displayed is again up-to-date. Dystopian Orwell or user-centric tech wonder? Signage has been a part of human communication for as long as we know, and now digital signage is taking the marketing industry, office spaces, and public displays by storm. We went from primitive pointers to customized content with real-time updates – some even GPS-controlled and tailored to each user. The latter sounds very Minority Report, but it’s not even a future scenario. The technology is here, and chances are you’ve been exposed to it already. To some, it might sound a bit scary, like a scene out of Orwell’s universe, but rather than an ominous Big Brother breathing down your neck, you should look at it as a useful tool with multiple benefits. Burger King and McDonald’s have been using digital menus for years, and recently, menu kiosks from which you can order your meals have also become available. Both burger chain conglomerates use a digital signage system to repurpose images and menu items and even combine them with trends, targeted ads, and demographics. At Build-A-Bear, kids can put together their plush animals via an interactive touchscreen tool that serves both an advertisement and selection purpose. Besides retailers and eateries, digital signage makes a difference for common areas that can otherwise be confusing. In hospitals, banks or just the average office space, digital signage provides a clear and consistent message that can direct and inform staff and visitors. More than that, digital signage can improve productivity at an office by providing easy access to information. Digital signage deployment within workspaces is an often neglected opportunity to communicate directly with staff but can make internal communication more accessible and effective. When administrators need to communicate directly with a large number of staff or students, how can they do so with an immediate effect? Digital signage in schools and office environments can be used to display automated content such as event listing, cafeteria menus, wayfinding or customizable welcome messages. An overlooked function in both corporate and educational facilities is to utilize digital signage as an emergency alert system. Digital displays can notify employees and students of emergencies like weather conditions, safety hazards or violent situations. Strategically placed displays will help inform what actions they need to take and how to stay safe. Digital signage is the most efficient and affordable method for getting a message out, whether it’s a meeting room agenda, communication protocols or inspirational visuals. To understand where we are today, and where we could end up in the future, let’s go back in time and explore the history of signage. Intelligent forms of communication have always been part of humanity and with that, we’ve found ways of instructing others. We’ve needed it to warn of danger, help kindred spirits or signal our strength. Thus, signage is nothing new. Dating all the way back to the Paleolithic Age, around 18,000 BC, cave and rock paintings were used not only to offer directions or information but a ritualistic perspective as well. Ancient Egyptians would cut stone to indicate religious sites or carve out historical events, and their inscriptions with hieroglyphs are some of the first written accounts we’ve come across. The word “sign” is derived from the Latin “signum”, which means mark or token. While the Romans were not the first to use signs, they were the first to introduce a road system, and with the road system proper signage as well. In 1393, King Richard II passed an act stating that all alehouses must post a sign. Thus, pub and inn signs became a popular advertising statement. Supposedly, the first poster ad in English was placed on a London church door in 1472. When trade and commerce picked up some centuries later, and Gutenberg invented the printing press, communication became even more intricate. In the mid-1800s, the production of newspapers, flyers, magazines, and catalogs picked up. As often before, communicative means coincided with the evolution of technology, and the same era experienced remarkable inventions such as gas lighting, cars, and electric bulbs. It completely changed the news industry and workspace area because all these new products needed actual advertising. In 1890, the first advertising agency was established. The Bauhaus Movement, which started at the beginning of the 20th century, pushed signage in the direction of art. Eventually, signage was not only a practical issue but one of aesthetic as well. Design, typography, and color were suddenly an integral part of signage. As signage evolved, so did technology. In time, they merged. An American car salesman ordered the first ever neon sign in 1929, shortly thereafter making it in high demand. One can only imagine the joy of shop owners as they could finally display specific messages such as “open” or “closed”. Other industries started taking advantage of advertising opportunities on the sides of buildings and in newspapers. Promotional content and tailored messages could be experienced everywhere, but the content still came from a product-centric state of mind rather than a user-centric. The term “digital signage” first saw light of day in early 1992 in a UK shopping center, where a security guard – not knowing the appropriate term – apparently first referred to a network of video walls as digital signage. In the early days, VHS and DVD content was displayed on old tube televisions we used to have before flatpanels were a thing. When thinner television models became more affordable in the early 00s, retailers began using them for promotional value – just as they did in the 70s when the VCR hit the market. Flatpanels became a norm in many stores and public spaces, replacing banner ads and paper posters. High-quality ads streaming in-store was an impressive sight, wowing customers and influencing sales. But the content displayed was still of a more static nature, either a looping ad, still images or simple slideshows. When computer-based media players became available, it opened up for more dynamic content that could be easily updated and controlled centrally. These media players were originally small computers, born at the same time computers were. They talk to servers, which direct content via the internet. The display network’s content is managed with software, called Content Management System (CMS). Some only use CMS as a central platform to manage content, whereas others use it to build and create from scratch. Networking media players to screens took off in the 70s with VCRs (VCRs connected to TVs is not considered digital signage however), and soon thereafter came various digital signage software types. Yet the software is nothing without the screens on which to display it. As with other types of technology, the evolution of screens has been fast-scaling and incredible. Hardware display screens could be either LCD, LED or even projection, but interactive displays are also on the uprise. As prices went down on flatpanel technology, the impact of the content displayed began to decrease as well. People wanted more storytelling and further innovation to keep them engaged, and that brings us to where we are today. Digital signage is already very user-centered and user-friendly today, opening up for interaction and cross-platform integration. With screens being an integral part of so many businesses, public spaces, and organizations, it should be something to consider for everyone. It very well could be that someone is not taking full advantage of the options to promote and improve their business because they simply haven’t heard all the benefits. More companies and organizations are allowed to penetrate the market because prices on both hardware and software are plummeting. 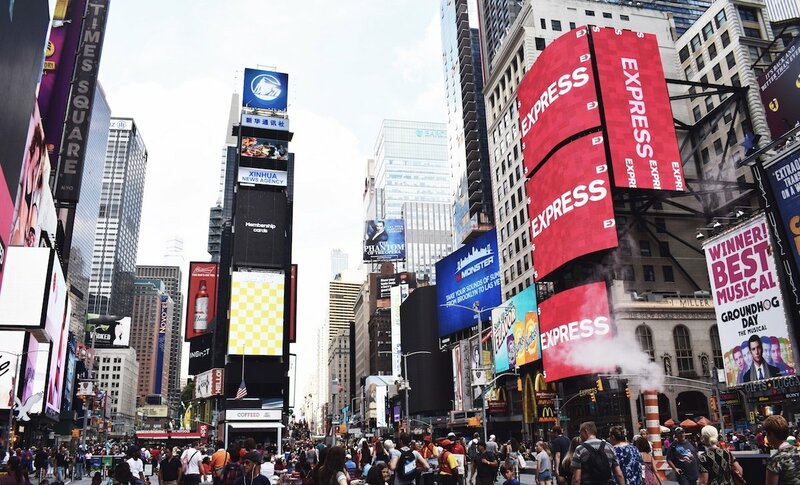 In short, we are moving away from the typical “Times Square style” digital signage at a rapid pace, and the opportunity for smaller, more cost-effective deployments digital signage is on the rise. Internal information: There is a considerable potential in aiding employees, students or visitors on-site. Proper digital signage can convey important news or corporate messages, display real-time health and safety information, meeting room updates or calendar events. Public information: If you’ve ever been stuck in traffic and wondering if a different route is more manageable, digital signage could help you out. Traffic information, news items or even directions could help you on your journey. Product information: Displaying marketing messaging associated with the product or service can be very helpful to the user. It could be pricing, nutritional value, ingredients, and suggested usage. Advertising: Great digital signage advertising can be used to direct the customers’ attention and promote services. With third-party advertising, owners of digital signage boards can give the option to bid for the signage space to promote a product or brand. Branding: Tailored brand messaging or illustrative graphics can be used to raise brand awareness. 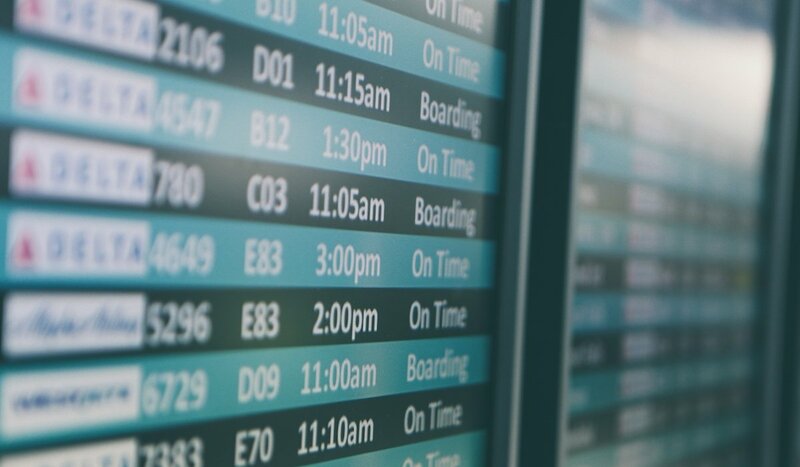 Enhancing the customer experience: Whether you’re walking around in a supermarket, airport, museum, zoo, park or any other cultural attraction, digital signage can be used to help aid understanding, provide demonstrations or list perceived wait time. Influencing decision-making: Digital signage can be used to increase dwell time at specific items or areas, impulse purchases by displaying marketing messages or persuade customers through discounts or offers. Navigation: Dynamic wayfinding through digital signage is upping the game of regular wayfinding. Think interactive roadmaps and footprints that might even be GPS-controlled. Digital menus: Being able to change signage easily is very beneficial to many restaurants, eateries or retailers since menu items and products fluctuate throughout the seasons. Digital menu boards would also allow users to reserve a meeting room in an organization or even a table at a restaurant. It could be used to book a resource or for a chance to upsell at the time of purchase. Entertainment: This category could fall under several of the others since entertainment can help attract the user’s attention. It could be a native video wall, promotional videos or even mini-games. Schools often have to rely on smaller budgets and thus don’t have the same opportunities regarding buying expensive, state-of-the-art digital signage solutions. Moreover, screens in education institutions come with different requirements than those of the retail industry or corporate venues. Rather than aesthetics, screens need to be sturdy, easy to navigate and perhaps even a set size. But that doesn’t mean school environments should skip on digital signage altogether. By adding informative and interactive screens, education institutions can upgrade the learning experience. Digital signage can certainly be tweaked to fit school information and streamline communication. Instead of relying on complicated email systems and paper notices, digital signage is an opportunity to keep students up to date with events, news or real-time changes. Because corridors and common areas in schools are often crowded areas, it’s the perfect place to display and share information. School announcement, image and video content, lunch menus and welcome messages. Students today are used to getting important information from digital displays, therefore making digital signage a perfect solution. Learning environments call for an effortless solution that’s easy to maintain both in regards to software and hardware. Because content shifts so often, it’s a must to find a solution that can be controlled centrally, preferably even remotely, to take off some of the strain on janitors and IT admins. The perfect match will help schools, colleges and universities relay and publish information that is optimized to the space and the time. While static signage is difficult and costly to update, digital signage can be helpful to the students and at the same time give them a learning environment that isn’t only focused on a still-sitting teacher-centric environment where all information comes from an authority. Digital signage is a way to keep students updated with content that matters to them, in a way that matches their thinking. Members of staff or students are more likely to pay attention to visually-driven content in work areas than text-heavy emails and paper notes. Internal communication can thus be improved by sharing vital information on digital screens, creating better engagement and removing inbox clutter and lost memos. 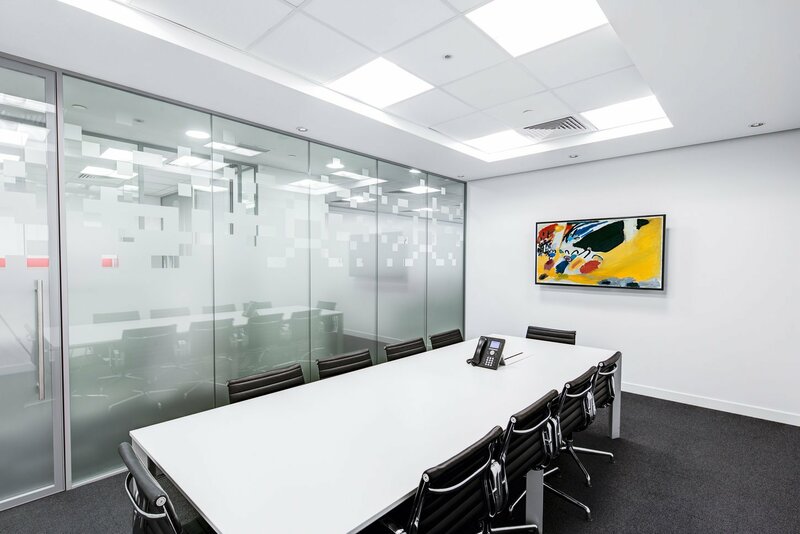 If there’s no other info to share, you can utilize the screens to present beautiful imagery or artwork that might boost employee engagement and positivity. Internal digital signage is often overlooked but holds the potential to increase productivity at the office or even serve as a lifesaver. In the event of an acute emergency, it can be difficult to alert the entire staff no matter how meticulously outlined the emergency plans are. With digital signage, you can relay essential emergency messages with all members of faculty. This will allow you to communicate directly with staff, students and visitors in the event of a fire, chemical spill, bad weather or any other safety threat. Small businesses use digital signage to share sales; quick service restaurants use digital signage to make ordering easier while schools and corporate offices go from closed-off communities to open dialogue. Besides using screens for sharing important messages internally, digital signage invites the user in and creates a dialogue. Through interactive displays with touchscreen technology, the audience can search for a specific product or service, look up features or design their customer journey that could unlock rewards, games or extra information. The incentive behind interactive touchscreen technology is huge because the interaction between user and content becomes more memorable and entertaining instead of informative and narrow. To the user, the interaction is now a simulated two-way conversation rather than an overload of information to digest. Another kind of live interaction comes from social network integration. Real-time twitter conversations could be displayed to show a political climate or quality of a service, just as selfies or comments could help boost the feeling of dialogue. Social media synced screens can help bring the online brand into the real world and help the consumer feel valued, even courted. Communicating with the individual user is key to successful signage. We’re already experiencing examples of content tailored to the target group, a specific location or even the weather. Since digital signage content can automatically adjust to match the right updates, it’s ideal for sharing weather updates or other real-time updates. Increased personalization: Interactivity will get even more individualized. Responsive and automated content could be directed from sensors or data flows that improve the point of contact. Real-time updates will be tailored to real-world conditions and the exact consumer in question. We’re already experiencing examples of this with ads that change according to weather such as umbrella ads when it’s raining and ads for sunglasses or outdoor activities when it’s sunny. Demographics will be used to tailor the user experience. Through open sources or private devices, personal information such as age, preferences, job position, and income may be used to guide users to their specific taste preferences. Recognition: Sensors, cameras, and voice recognition can be used to aid the user further. With the right amount of accuracy, users can be greeted by name and offered services that suit their needs. Since sensors will be able to connect with data flows, AI can tailor the digital signage shown and when it should be shown. If you’re browsing the vegetable section in the supermarket, screens can show you recipes that match the vegetables you’re looking at and deals on similar items. Digital signage and AI: With more accuracy and data processing comes a better understanding of the users. Smart digital signage could even end up replacing human-to-human interactions altogether. It’s already happening in the restaurant industry, but soon other areas of the service industry could follow suit. Corporate offices, banks, hospitals and many other places would most likely benefit from an increase in intelligent digital signage. Amazon Go has already introduced a shopping experience with no personnel, lines or checkout. Via advanced technology and a smart app, you will be shown the best product for you, similar products you might like or discounts applied to the suggested items. As you take the items and leave the store, you automatically pay for them via the app. As we get more and more comfortable with AI solutions that target us, a more personalized experience probably isn’t far off. Facial recognition and content triggered by our preferences is something we might be able to experience very soon. Before electronic signage, we would use primitive drawings and wayfinding tricks to help guide ourselves and others. With the industrial revolution, many types of work were replaced by machines, in turn, giving us more free time to use on all the goods produced by technological advancements. And no great product truly lives without great advertising, so sketches, drawings, and soon photographs too would aid us in choosing the right products. With the boom of the internet and computers, we were suddenly even more interlinked, and we started to understand the power of commercial display and engagement reach. The pace of the development in the digital signage industry is impressive and fast, regarding both hardware and software. Whatever the future holds, it looks bright, exciting, and more inclusive – for businesses and consumers alike. Should you care about digital signage? Effective use of digital signage can help achieve both goals by engaging with both employees and customers. 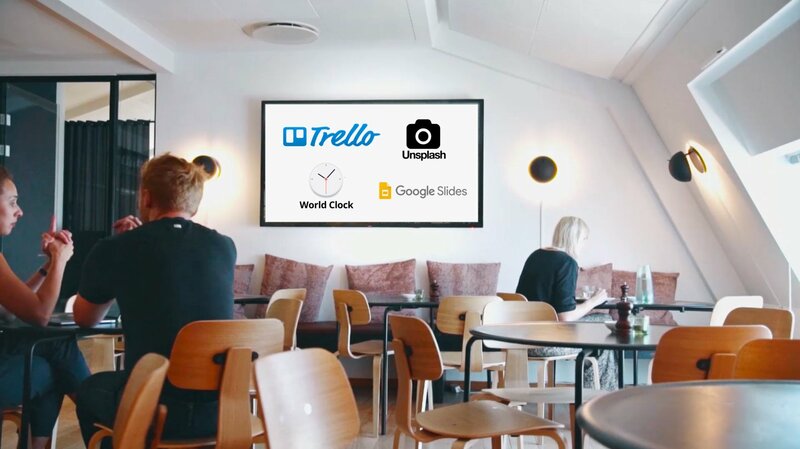 Digital signage doesn’t have to be overly complicated or difficult to manage, and since it’s more affordable and accessible than ever, even smaller organizations with limited staff or resources can take advantage of it too. With each new development in the field, the bar is raised, producing more stable, secure and versatile solutions. Open-source technology and platform-agnostic solutions mean that more and more businesses are able to set up digital signage efforts. The audience has been given much more power than the one-way flow of information from before. They’re now encouraged to explore an experience tailored to their specific needs from a device of their choosing. It’s a golden opportunity to communicate directly with them, collect valuable information or provide an even better service. Cost-efficient: Change and update content at no additional cost. Informative: Inform your target audience with relevant content. Use it to relay internal messages or to communicate with external parties such as visitors, clients or customers. Effective: Control your content from a central platform and update it with no more than a few clicks, no matter where your screens are located. Engaging: Engage your audience via games, videos or interactive content to create a memorable and entertaining experience. Branding: Digital signage allows you to send a relevant message that aligns company values or branding ideas and use it to add promotional value. When employees are in sync with the organization’s mission, they become more productive. They waste less time if company information is shared with them directly and if the message is consistent and available. The answer to this chapter’s question is two-sided but clear. On the one hand, digital signage can help you sell more products by providing an effective and entertaining medium for advertising. On the other hand, digital signage engages the audience by sending relevant, updated information that saves time and minimizes errors. Both sides have one overall benefit that can hardly be overlooked: the increase in your bottom line. Airtame is not only a screen sharing device, it’s also a package of innovative solutions for digital signage and artful content that are easy to set up and use. In Airtame Cloud, where you manage and monitor your devices, we offer several applications and ways to turn your screens into digital signage. One of the simplest forms of digital signage with Airtame is to set a custom background. Show stock images, your company logo or pretty images. For a more detailed display of information, we suggest setting up a 3rd party dashboard service that shows your KPI metrics, goals or social media engagement. There are many dashboard providers out there, but we’ve compiled a list of the top KPI dashboards that work with Airtame. This signage option was particularly effective for the folks at the shared economy car rental company GoMore as it outlined them to present real-time performance results across their workspace. Airtame is customizable for every organization, occasion or idea. Besides setting your own background image, you can change the overlay, text and on-screen instructions to best suit your needs. If you own several devices, you can tailor each screen connected to a device to show exactly the kind of content that’s most effective in its environment. Meeting room digital signage is not the same as waiting area digital signage, and you shouldn’t treat them equally. Trello: Trello is no stranger to corporate culture. Those who already use Trello know how appealing it is to see plans, projects, and ideas visualized and neatly structured. For those unfamiliar with Trello, it’s a project management tool that keeps track of joint tasks. The Airtame integration means you can set up sprint boards and shared projects. You can choose to show several columns on each screen or spread them across several. 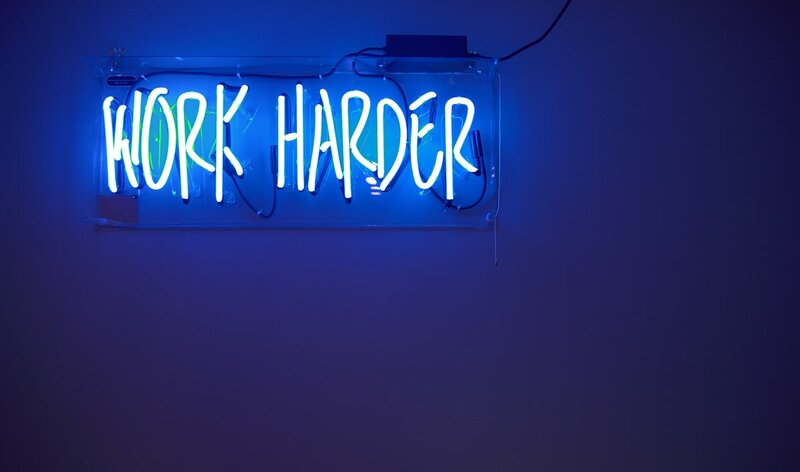 Unsplash: Artful content is known to increase productivity and create a more positive work environment. The online photography haven Unsplash is a wonderland of free, beautiful images. Choose between thousands of photos and pick your favorites to display on Airtame when no one is streaming to it. World Clock: Many businesses have foreign branches where they speak a different language and go by a different time zone. That makes it difficult to keep up with other teams’ work, but we’ve made it possible to set up to three different clocks to keep track of times in other areas. Google Slides: Google Slides is the king of online presentations. Several people may work on the same slideshow simultaneously, which makes editing a breeze. Digital signage on Airtame with Google Slides is not just presentations though. You can show updated calendars, lunch menus, agendas and personalized content. When you make changes to the slideshow, your displayed content is automatically updated as well. Corporate offices, schools, and many other organizations need a simple digital signage tool that doesn’t cost an arm and a leg. They want an effective way to share information and engage their audience, and they’re looking for something that’s easy to maintain and update on a daily basis. We’re constantly working on upgrading the Airtame experience, and with the aforementioned app integrations, users will now be one step closer to communication smarter and more effectively. Digital Signage is an eye-catching and effective way to showcase content for your business— but how do you know if your content is connected and secure? 1) Ensure your content is being displayed correctly and reflecting any changes instantaneously. Digital Signage is the key to making lasting impressions on a consumer. EngagePHD™’s Network Monitoring tools work cohesively to make sure your message is correctly displayed across all screens regardless of where in the world they may be installed. In addition, we have made it easy to update content as well—giving your business the flexibility to update your information as needed. 2) Receive Automated Email Alerts for instant notifications. Automated email alerts through EngagePHD™’s Network Monitoring System allows you to be constantly connected to your Digital Signage. These alerts will notify you of any issues or changes made to your content. This feature alerts you instantly if: any screens are offline, there is a black screen, if content appears to be frozen, if the temperature of a screen exceeds a pre-determined level and if a user changes a price point of a product. Rest assured there will be no surprises when using the Network Monitoring System. 3) Get access Realtime Dashboard to view current content. Another important feature of EngagePHD™’s Network Monitoring System is being able to show content that is running on any screen at any given time. We created a Real-time Dashboard view that shows you content that is currently displayed on the screen regardless of your Player/Screen hardware. This allows you to be in control and even request a screenshot of your content on demand. Ping HD provides a scaleable and flexible digital signage solution. Ping HD is an industry leader when it comes to new and innovative cloud-based software enhancements through EngagePHD™. EngagePHD™ offers a Players Map feature to help your business better manage and maintain your digital content. Players Map is a versatile tool that you are able to configure and implement to your industry’s needs. Players Map allows users to upload a floor plan of their stadium arena, shopping mall, airport, convention center, or campus. Once the floorpan is uploaded you are able to plot where each and every Player is located. This Players Map will show a green dot or a red dot representing each Player. The green dot indicates that all operational systems are functioning properly. The red dot alerts the user that there is an error or issue with a Player. These color codes make your digital signage Players easy to read and allow the user to quickly pin point where all Players are located. The Players Map is an interactive medium to provide a snapshot of content currently being displayed by your digital signage player. By hovering your mouse over each green and red dot it will reveal a near realtime screenshot to show exactly what content is on the screen. This action will also provide all of the Player’s information such as: serial number, IP address, MAC address, firmware version, network, and temperature. For the University of Texas, Austin Ping HD was able to implement the EngagePHD™ Players Map feature for the entire Longhorn’s locker room. Regardless of the size or scale, Ping HD’s Players Map allows you to have complete clarity when reviewing your digital signage operations. Multicast Network Stream: EngagePHD™ supports any UDP or TCP based multicast stream. The Multicast Network Stream can be positioned anywhere in a Layout so you can wrap any content around the TV feed. This method is supported on Samsung SSP and LG webOS commercial displays, however, if you need to use external DMP’s, then BrightSign and Windows based players are also supported. RF (Coax): The RF is uniquely supported on Samsung SSP Commercial Displays (North America Only). TV content can be distributed via RF and each Samsung screen can be programmed to receive all the channels that are available. Furthermore, just like the Multicast Network Stream, users can design a Layout and have this TV source as an option. In addition, we’ve added a BYOD (Bring Your Own Device) solution for sports fans in a suite or a visitor to a corporate office building etc. The BYOD solution allows the user to change the channel from their own smart phone without affecting any L-Bar wrap style content. HDMI External Source: Samsung SSP and LG webOS allows the support of an external set-top box e.g. Comcast, DirecTV, Sky, Virgin Media etc. to be connected via HDMI. EngagePHD™ is connected to the HDMI port and users can design a Layout to incorporate an L-Bar style wrap containing other content. The above options are some of the different ways in which we can deliver an IPTV type solution. Each screen is uniquely IP addressable meaning you can show the same content or showcase unique content on every screen. Regardless of your needs, EngagePHD™ can be used to manage your Digital Signage based IPTV networks. If you are searching for a streamlined platform where TV content can be mixed in with your Digital Menu Boards, Room Signage, Ad Screens and Wayfinding displays; Ping HD IPTV is your digital solution.